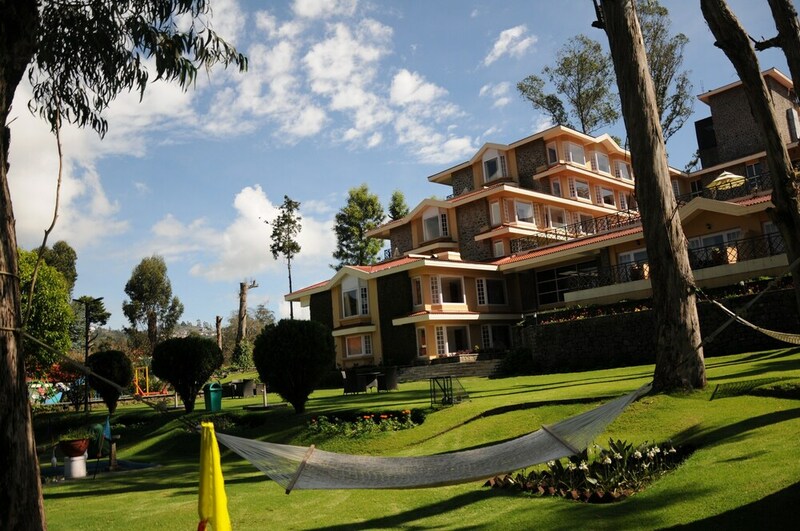 This family-friendly Kodaikanal resort is located on a lake, within 1 mi (2 km) of Bryant Park and Kurinji Andavar Temple. American University of India and Kurinji Temple Kodaikanal are also within 2 mi (3 km). Along with 3 restaurants, this resort has a golf course and a 24-hour fitness center. Free buffet breakfast is provided, as well as free WiFi in public areas, free valet parking, and a free area shuttle. Additionally, a bar/lounge, a coffee shop/café, and an indoor tennis court are onsite. All 91 rooms boast deep soaking tubs and offer free WiFi and furnished balconies. 24-hour room service and refrigerators are standard, as are LED TVs with digital channels. In addition to a golf course, The Carlton features an indoor tennis court and a spa tub. Dining is available at one of the resort's 3 restaurants and guests can grab coffee at the coffee shop/café. A bar/lounge is on site where guests can unwind with a drink. Guests can enjoy a complimentary breakfast each morning. A computer station is located on site and wireless Internet access is complimentary. A business center is on site at this 5-star property. Event facilities measuring 3500 square feet (325 square meters) include a conference center. This luxury resort also offers a 24-hour fitness center, a sauna, and spa services. For a surcharge, a roundtrip airport shuttle (available 24 hours) is offered to guests. Complimentary self parking and valet parking are available on site. The Carlton has designated areas for smoking. The Silver Oak - This restaurant serves breakfast, lunch, and dinner. The Hearth - Onsite café. Guests can enjoy drinks at the bar. The Terrace - This restaurant specializes in barbecue. A golf course, an indoor tennis court, and complimentary bicycles are featured at the resort. Other recreational amenities include a spa tub, a sauna, and a 24-hour fitness center. Rollaway/extra beds are available for INR 4300.0 per night. The Carlton is listed in the 2016 Condé Nast Traveler Top 100 List.